We are thrilled to have the Quantum Staffing website featured in Elegant Theme’s Design Showcase for August 2017. View the post. 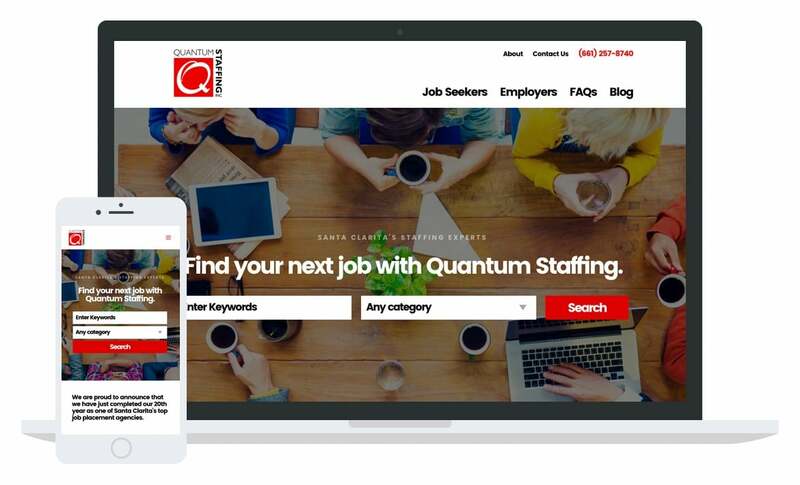 Quantum Staffing is an employment staffing agency in Santa Clarita, CA. They were in need of a complete website overhaul that provided an easy to use interface that was easy to navigate. Their site was outdated, and the job search features were cumbersome to use and produced unpredictable results. We redesigned and developed their website with a clean, refined aesthetic which allows the website’s focus to be on the job search functionality, and for their clients to quickly and easily find the jobs they are looking for.